Which fountain at Walt Disney World contains water from rivers and bodies of water from around the world? Where in Tomorrowland can you find hidden Stitches? Which rides contain elements from former attractions? What is forced perspective and how did Imagineers use it throughout the parks? 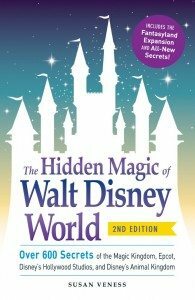 You will find out the answers to all of these questions and so much more in “The Hidden Magic of Walt Disney World,” 2nd edition by Susan Veness. I have been waiting for quite some time to read and review this book and I can honestly say it didn’t disappoint. I adore learning about, and subsequently looking for, hidden elements that are easily overlooked throughout the parks. Luckily for me, this book is jam packed with these little tokens of Disney magic. The book is broken down into four main sections, one for each of the Disney parks in Orlando, FL. It is further divided into subsections detailing locations and attractions followed by a brief historical timeline. I would highly recommended this book for any Disney lover who is familiar with the layout of the parks and enjoys learning about the smaller details that bring the Disney magic to life. What’s your favorite Disney secret? Share it in the comments below! 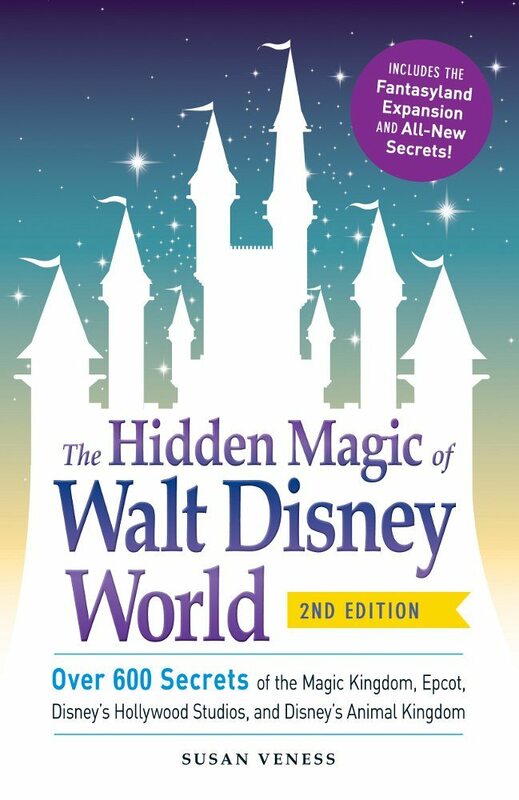 Disclaimer: We received a complimentary copy of The Hidden Magic of Walt Disney World in exchange for an honest review. All opinions expressed are our own. No other compensation was received. Affiliate links have been used, but of our own volition – they do not raise the cost of the book for the buyer.